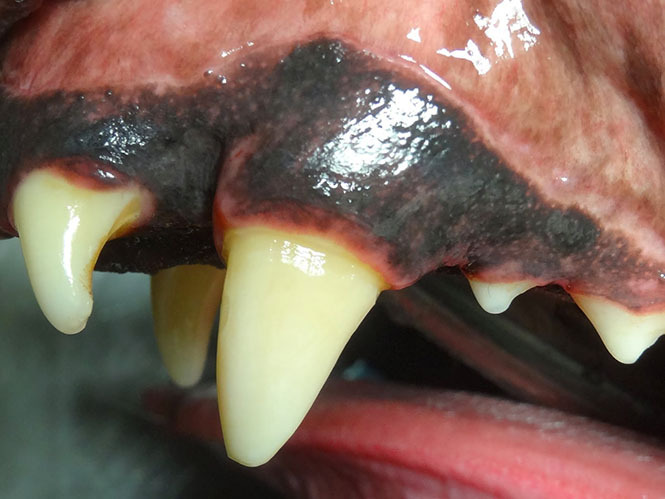 Working canine officers often fracture teeth while on the job. 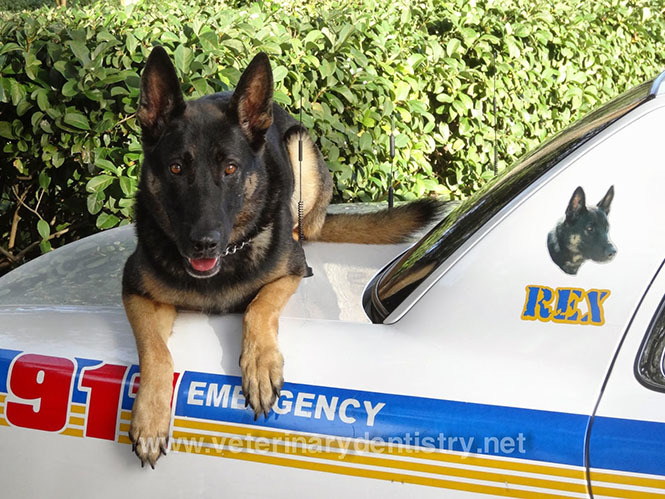 Rex fractured a tooth while on the job in Orlando requiring Dr. Beckman, a board certified veterinary dentist, to resolve the problem.. Treatment of the dying tooth requires removal of the pulp followed by filing, cleaning, sterilizing and shaping the root canal. 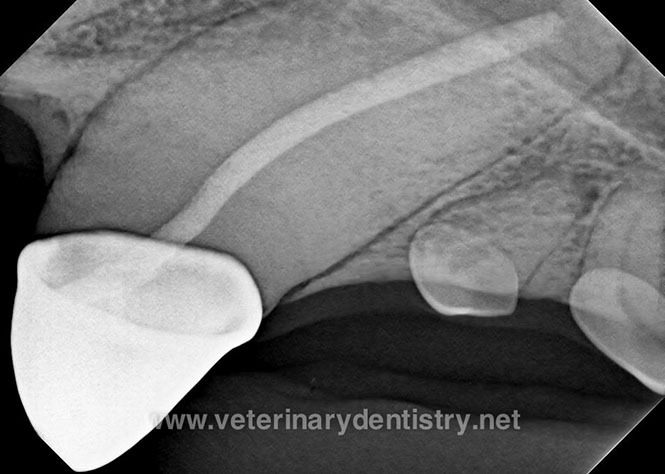 Once completed a sterile material is place and the access site into the tooth is closed with composite material. 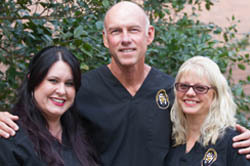 o protect the tooth from damage and to eliminate leakage of bacteria into the tooth over time a crown is placed. 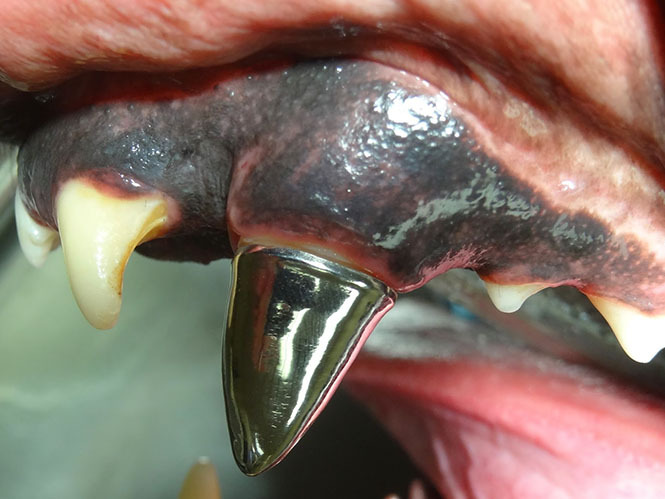 The tooth is prepared with special instruments and an impression is made and sent to the laboratory where the cast metal alloy crown is produced. Crowns are not meant to be cosmetic they are for maintenance of function and protection of the original fracture and/or access site. 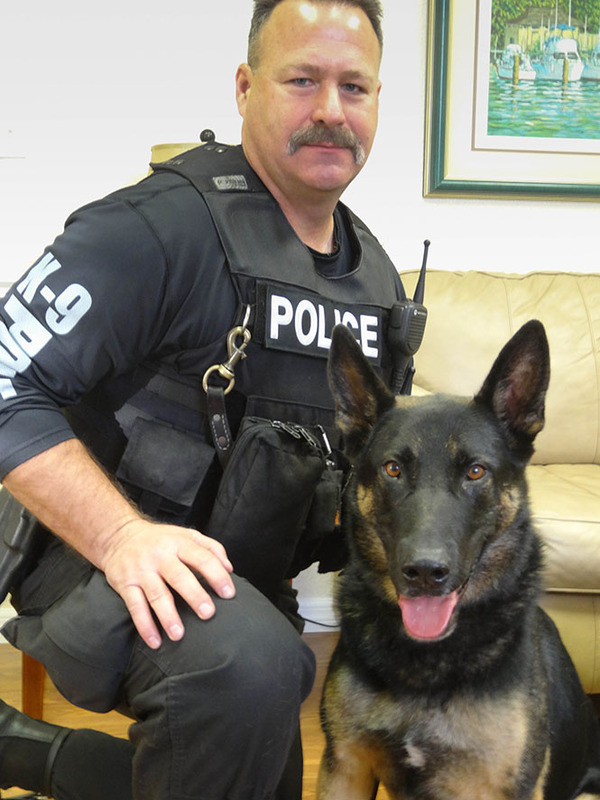 Canine officer Rex and Corporal Robert Brown at Orlando Veterinary Dentistry.